Mark Hamill's Joker is so amazing. This meme is old. The Joker dates should go up to 2016. He's going to be the Joker in the new Batman: The Killing Joke (in pre-production according to IMDB.) 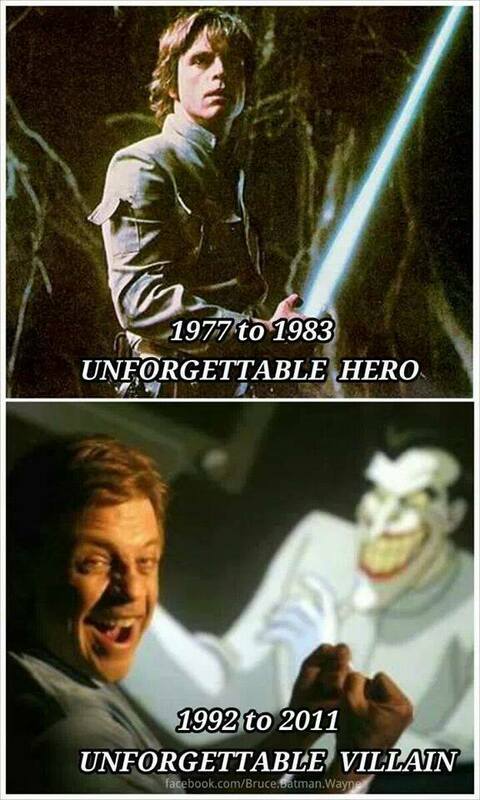 I made a complete list of his Joker's below. I also can't wait to see the older, wiser Luke Skywalker. 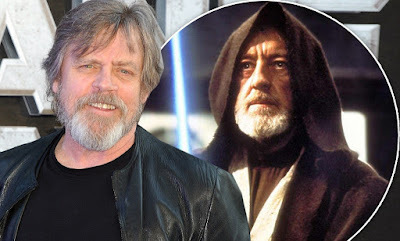 I do hope that Luke becomes like Obi Wan; The mentor and guiding force, if you will, for the new generation. Time flies. I'm still that 10 year old kid sitting in the theater watching Star Wars!